Black Friday deal: Save up to £60 on Pure DAB radios | What Hi-Fi? 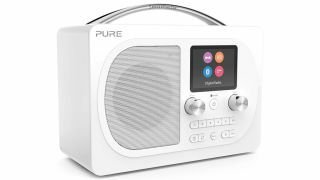 For Black Friday, John Lewis has upped its competitiveness in the radio market by offering savings of up to £70 on Pure radios this week. Anyone familiar with the radio sector - and/or with the What Hi-Fi? Awards - will know that Pure joins the likes of Roberts as a consistently reliable radio brand. Its Evoke H2 is a current Award winner, while several of its other models have received favourable four-star reviews. Until next Monday (26th), these John Lewis deals are available online and in select stores.